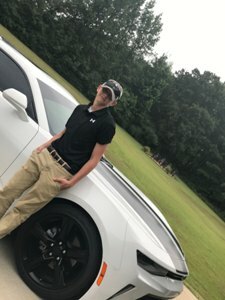 Ethan Kyle Davis, age 18, of Summertown, TN passed away Sunday, March 31, 2019 at his residence. He was a native of Lawrence County, TN, a Junior at Summertown High School, a member of Skills USA and Brace Baptist Church. He was preceded in death by his brother, Markus Austin Davis; sister, Emily Davis; grandmother, Emily Davis and grandfather, Larry Cox. He is survived by his parents, Jason and Teranda Cox Davis; brother, Jacob Davis; and sister, Emma Davis, all of Summertown, TN; grandmother, June Cox of Loretto, TN; grandfather, Mark Davis of Bonnertown, TN; several aunts, uncles and cousins. Arrangements are being handled by Neal Funeral Home, 231 N. Military Avenue, Lawrenceburg, Tennessee. The family will receive friends from 4:00 PM to 8:00 PM Wednesday, April 03, 2019 and from 10:00 AM to 1:00 PM Thursday, April 04, 2019 at Neal Funeral Home. Funeral services will be conducted at Neal Funeral Home at 1:00 PM Thursday, April 04, 2019, with Jason Davis and Mike Ragland officiating. Interment will follow at Harmony Cemetery in Lawrence County, TN.